When The Voice returns to NBC next month for its 12th season, the star judges will have help from a group of equally high-profile advisers. Vulture reported earlier today that Céline Dion would be belting with all her heart for judge Gwen Stefani’s team, but the other judges roped in their own heavy hitters, too. 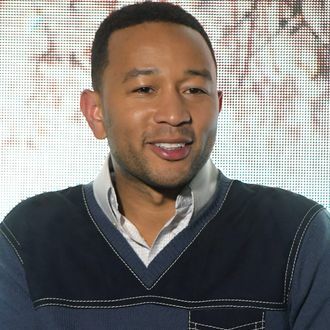 Billboard reports that John Legend is set to consult for Adam Levine’s team, while DJ Khaled will, if nothing else, offer some amazing social-media insight for Alicia Keys’s contestants. Blake Shelton is keeping it country with his adviser and close friend, Luke Bryan. In previous seasons, the celebrity mentors came in during the Battle Rounds. The series returns February 27.